I’m a big fan of the Xbox Lego game series, so when The Lego Movie got released last Friday, it was time for me to make use of my Cineworld Unlimited card and make my way over to the movies. This rather unusual animation film is set in the Lego universe, where we meet Emmett (Chris Pratt), who is an ordinary construction worker, just like everyone else. Through a mysterious incident, he teams up with magician Vitruvius (Morgan Freeman) and Wyldstyle (Elizabeth Banks), a gorgeous looking Lego gal. In a hidden cave under Emmett's construction site, Emmett finds the legendary Piece of Resistance. It turns out, that he is destined to be the chosen master builder to save the Lego universe from the evil plans of Lord Business (Will Ferrell). Lord Business intends to combine the Piece of Resistance to a super weapon, 'The Kragle' to unleash a destructive force and to overtake the Lego universe. Emmett and his friends are now involved in an adventure of a lifetime to save the world of Lego from chaos and catastrophe. 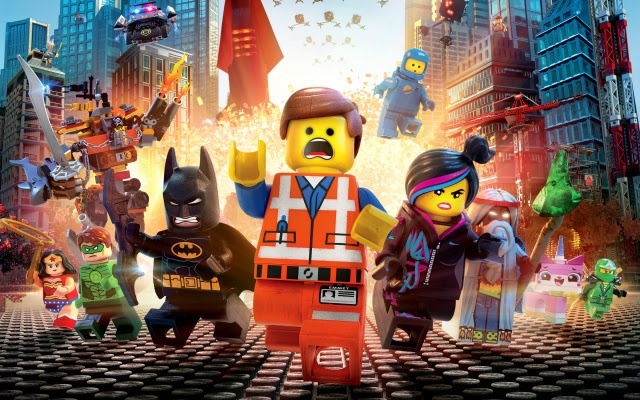 The Lego movie is a fantastic funny adventure for adults and children. The universe is completely built of Lego, which is magnificently captured in 3D. The film is entertaining, easy to watch and contains the typical Lego humour. Likeable characters, some serious twists and turns in the plot will surprise the viewer and make this movie an unforgettable cinema visit.